The ability to communicate clearly is so important for community professionals. We say this a lot, but we rarely break it down much beyond that. What we really mean is that you have to be able to explain things. Explanation is a skill. How you explain something is as important as what you’re explaining. It impacts how well your message is understood and whether or not people will be supportive of it. Quality explanations make your life easier. Poor explanations make it harder. Lee LeFever is the founder of Common Craft and the Explainer Academy, an international keynote speaker and author of The Art of Explanation (Wiley, 2012). He is also credited with inspiring the online “explainer” video industry. In his work, he’s helped companies such as Google, Intel, LEGO and Ford to explain their products. His explainer videos have been viewed over 50 million times and licensed to professionals and organizations in over 50 countries. He lives in Seattle with his wife and business partner, Sachi. 00:24 Patrick O’Keefe: Hello, and welcome to another episode of Community Signal. On this one, we’re talking with Lee LeFever. Lee is the founder of Common Craft and the Explainer Academy, an international keynote speaker, and the author of The Art of Explanation, published by Wiley in 2012. He is also credited with inspiring the online explainer video industry. In his work, he’s helped companies such as Google, Intel, LEGO and Ford, to explain their products. His explainer videos have been viewed over 50 million times and licensed to professionals and organizations in over 50 countries. He lives in Seattle with his wife and business partner, Sachi. Lee, welcome to the program. 00:57 Lee LeFever: Great to be here. Thanks. 01:00 Patrick O’Keefe: It’s so great to have you on because I have known you for a very long time. And most people who know Lee LeFever, they know you for the amazing work you’ve done in the explainer space, but I’ve been fortunate enough to know you for many years before that work had even started. And Common Craft was originally an online community consultancy, I remember it. But I also pulled up the Wayback Machine for your website, the earliest entry dates back to July 1st, 2003. In your header you say that you offer “online community strategies for business”, and this is the website of online communication planning consultant Lee LeFever, which is a great title for someone who is helping people with community. You had worked as a community manager before that, from 1999 to 2003 at a software company before quitting your job to start Common Craft. Why did you decide to go all in on community? 02:41 Lee LeFever: And she shook her head and smiled, and we moved on. But it was true, I didn’t talk about much else for years after that. It appealed to me in a way that nothing else had before it. And I looked forward to go into work everyday to help try to get a new community off the ground at my job at that time. 03:24 Patrick O’Keefe: Shortly there after, explainer videos. So what happened on that trip? Why did you decide to leave the online community space behind? 04:00 Lee LeFever: And I’m also driven a lot by change and sensing when something is becoming more mainstream and trying to find something that maybe is a little bit less mainstream. And I was really excited to see community and then social media become such a big deal, and by 2006 I felt like that it had started to get real traction, that there were a lot of people doing it, and by the time we came back from the trip I felt like, “Oh…,” to use a business term, “these waters have turned red.” I started looking for blue waters, and that’s what led us into making videos and doing Common Craft explanations, was sort of that sense that it was time to find something different. That might not have happened if we didn’t do the trip, so I think that, that was a good thing. 04:43 Patrick O’Keefe: What inspired the first video that you did explaining something? Did you just see a complex concept and say, “Hey, someone should explain this, and we should do it.” What pushed off that first video? 04:50 Lee LeFever: Yeah. So, the first video really came from my experience of being an online community consultant. I was doing consulting with small businesses, a couple of big businesses. And at that time there were tools like wikis and RSS and blogs and social networking, and they were all new. And the people that I were working with, they could use the right words, but I could tell that what was keeping them from thinking strategically about something like community was understanding. They really needed a way to understand a wiki, not just how you use a wiki, but what’s the mental model that you use to think about a wiki. 05:58 Lee LeFever: When we got home from the trip trying to be the guy standing in front of the whiteboard, drawing and looking at the camera and explaining at the same time, and it looked really terrible and I felt like a dork, and became frustrated. And then Sachi, who is always the fixer, had the idea of pointing the camera down onto the whiteboard and using only hands and markers and pieces of paper to tell a story, and that was really the birth of Common Craft videos. And the first videos came from my experience of, “Well, maybe there’s people who really need a different way to think about something like RSS or wiki,” and that was always our intention. 06:35 Patrick O’Keefe: I would like to take a moment to recognize our excellent sponsor, Higher Logic. 07:12 Patrick O’Keefe: This format that you created, it’s called Paperworks, the Paperworks format, the style of Common Craft. And something that I tell people a lot is to build community before you need it. Don’t build community the moment you need some support for something, because by then it’s too late. And your videos, again, have this unique style and tone, and years ago a company created a video that mimicked some of the style elements of a Common Craft video. I remember seeing it, I remember at the time, I remember talking to you about it. And you had privately asked them if they would just change the title of the video, because they had used a title that was similar to a title that you were using and had gained a lot of attention using that people tied with your brand, and they refused to do it so you wrote a blog post about it. What happenedf then? 07:52 Lee LeFever: [chuckle] Yeah. That was a really fascinating situation where we were, at the time, building a brand based on these specific videos that we were explaining, and like you were saying, this company created a video that looked very much like ours with the same title. And I kind of had this strategy where I really wanted to be reasonable about it, so when I would write to them I would say, “Look, this is a really small thing. I just want you to change the title. I don’t think this is a big deal,” and their attitude really was just like, “Buzz off, small fly. I don’t have to think about this, you’re wasting my time,” kind of a thing. And so I said, “Well, let’s see what the Internet thinks about this.” And at the time we were at the height of our attention, there were a lot of people watching what we were doing and we had a lot of dedicated fans. And I think there was a community around us of people that were interested in what we were doing. 08:43 Lee LeFever: So I did write a blog post that said, basically, “Get a load of this guy. I’ve tried to get them to change this, maybe you guys can help me show them what you think about it.” [chuckle] And then, within an hour, their YouTube comments had blown u.
p with all these negative accusations from the community about them ripping us off, and their decision to do this was unethical and all these things, and within a couple of hours I got a note from the company, that essentially said, “Please make it stop. What do we have to do to make this stop?” And I talked to them, and we worked it out and they changed the name, and everything was really fine. I think that we were successful in our effort to get it changed, and if we could have just kept it more reasonable that didn’t have to happen kind of an idea. 09:30 Lee LeFever: But it really made an impression on me at the time that I was playing with fire, that once that genie is out of the bottle when you ask a community to advocate for something on your behalf, that you can’t put that back in the bottle very easily. And I think our community behaved well. It wasn’t a negative thing. Maybe it was negative for the company that was the audience for it, but it really made this impression on me that you really have to be careful about sicking people on something like that, that you can lose control of it really quickly. And I haven’t done anything like that since because of that, because it’s hard to predict what people are gonna do. 10:08 Patrick O’Keefe: That’s an interesting point, and it’s something that a lot of people don’t think about. The responsibility of how you deploy the people who support you, because there is a danger to it and I think the easy example is celebrities. Celebrities, like a Justin Bieber-level celebrity, or even someone, let’s say a million followers or more. And someone said something they didn’t like, they criticized and maybe they were mean, and so, they retweet it and they show their followers that message. And so, that person, let’s say they were unfair, they’re jerks, but now they get this deluge of personal attacks. If they’re a woman or they’re a minority, they certainly get sexist or racist attacks, maybe death threats. A lot happens, there’s a lot that can happen. 10:50 Patrick O’Keefe: People on Twitter, with anonymity or not, can be very nasty, or worse. And is the person who retweeted it responsible? I don’t know that I would say the answer is absolutely yes, but I think it’s also ignorant to think that there’s not some culpability there, that they need to understand the power of their platform. And even though this person may have been a jerk, mean, something worse, maybe that’s not the best use of it. Maybe bad things could come if you use your platform flippantly to point out any kind of negative criticism or any kind of issue and sort of deploy the attack fans on another person. I don’t know, what do you think? 11:24 Lee LeFever: Yeah. Yeah, I think that’s true. I think that that’s part of what we’re seeing today is the growth of social media and so many people being in a position to have that kind of influence without a lot of understanding maybe, or forethought about the consequences. We certainly see it in things like politics where it has a huge effect, and I think that’s one of the darkest parts of social media, and to some degree community in general is, people not really having an understanding of consequences. I think that there’s this, sometimes lack of empathy, that people don’t actually realize that there’s real people on the other side of the computer who actually are reading what they’re saying and then maybe they don’t think it’s a joke. It’s just a problem that I don’t know that there’s an easy solution to, but that kind of goes with the territory of us all being connected so easily. 12:12 Patrick O’Keefe: Yeah, and it’s kind of transcends anything. It’s not just Twitter or it’s a big blog, it’s a big YouTube channel. If one YouTuber says something about another then that other YouTuber’s comments are gonna be filled with attacks and criticism, and worse, aimed at that person. And yeah, I think it’s part understanding the power of your platform, and then when you deploy those people, try to caution them, because I think ultimately it reflects poorly on you, and your community, if they’re known for these things. It only takes a very vocal unchecked minority of people in your community for your community to become known for that vocal unchecked minority. 12:57 Patrick O’Keefe: So, one of your key focal points right now is the Explainer Academy, where you have courses for professionals who understand that explanation is a key important skill. And as part of that Explainer Academy you have begun to look at ways to connect students with one another. How much have the options changed since you tackled the similar question in 1999, where you had software users who wanted to work together? 13:19 Lee LeFever: Yeah, that’s a great question. When I first got started with community, again, 1999 or so, I was using eGroups which eventually became Yahoo! Groups, which was sort of threaded discussions, message board style, with often an email component, too, where you could get individual emails or a digest of what happened. That’s obviously still something that works together. But I think that one of the things that’s really changed is that, at the time, one of the biggest challenges was just convincing people that it was okay to write something on a website, that it was something that people could do, that you don’t need a PhD in computer science to write a note to someone using a website. And that sounds crazy today, but at the time it really was something that people had to overcome to see the sort of utility of it. 14:06 Patrick O’Keefe: Now we’ve gone totally the other way. 14:14 Lee LeFever: It’s so true. It’s so true. And I think that, say what you will about Facebook, that Facebook has taught people that you can do that, and if you do it, a lot of times it’s fruitful and it’s something that can be a positive part of your life. And now there are options that are doing a very similar thing that eGroups and Yahoo! Groups did, but they’re on a platform that people are using everyday anyway. So an example would be, I’m considering a private Facebook group, for instance, for the Explainer Academy, is one option. I think the value and the basic mechanism is the same, but I think the people have changed, the perspective has changed from people being much more willing to be a part of something online, where before it might have seemed a little bit creepy. 15:00 Patrick O’Keefe: That’s a great point. Yeah, we don’t have that problem much anymore. 15:02 Patrick O’Keefe: It would be good if people shut up a little bit. 15:06 Lee LeFever: We might be better off if there was a little bit more reticent or something. 15:09 Patrick O’Keefe: I’m just kidding everyone, although I do feel that way sometimes. I think there is such an opportunity for community managers to make their own short DIY explainer videos for the community to help with onboarding as members learn how various things work. But even as it becomes easier and cheaper to do this, it is still so rare to see. I know I’ve seen it, but I couldn’t tell you one example if you asked me. What do you think about that? Are people missing what is fairly low-hanging fruit that could really help their members jump into the community? 15:43 Lee LeFever: There’s a couple of things here. One of the things that I think is a really high-level way to think about this is, the need for better explanations is often invisible. It’s not something that slaps you in the face all the time, and I think there’s a couple of reasons for that. I think that as a race that we humans really struggle to try to understand what’s happening in someone else’s brain to the extent to which they’re understanding something or not, and the more we know about something, the deeper we get into a subject, the more inaccurate our assumptions get about people who don’t understand, and this is an idea called the “curse of knowledge,” which is really popular in explanation circles, that your level of knowledge curses you and interferes with your ability to make accurate assumptions about your audience. 17:02 Lee LeFever: I mean people do that, it happens, but from a really broad perspective, when we do that, we stop… Imagine a meeting, someone raises their hand and says “I don’t understand,” they’re taking a risk; it slows down the meeting, it may be… Is offensive to the person who is communicating. It maybe shows that they’re not paying attention. So what happens? They fail silently. They clam up, they shrug and move on. So there’s these two things, there’s the communicator who may be has inaccurate assumptions about the audience, and then there’s an audience who is motivated to stay quiet when they don’t understand something. And these things kind of work together, and it means that this need, this need for understanding stays quiet, it never slaps you in the face, until you start to think about “What is the role of understanding in this situation and how can I actually account for this thing that’s happening?” And that’s part of the perspective that we’re trying to teach, and then we’d like people like community managers to see that, just because people aren’t necessarily voicing this need, it doesn’t mean it’s not there. That maybe, if you think about the world a little bit differently you might see opportunities to account for those people that are maybe failing silently. 18:14 Patrick O’Keefe: That’s really interesting because there is this whole idea that asking for help is weak, and it’s something that a lot of people say, “No, that’s not the case, it’s not the case.” But mentally people get judged, because they ask for help on something, “Shouldn’t you already know that? Why are you asking that question?” And this is something that happens in communities, obviously, people ask a “dumb question” and get ridiculed for it. 18:33 Patrick O’Keefe: I remember years ago I ran a support forum for phpBB, one of the largest support forums for it, and I had a staff member who was excellent, who knew more about phpBB than anyone I’ve ever met in my life, and helped probably 100,000-plus people over the time he was on the site. But he asked a question once, he asked a question about this, or about this once or twice. Not all the time, but he asked some questions. So this user that I had to ban once, he made this big post on his own website, just this long rant, and one of the things he said was that, “I don’t understand why this person… ” My staff member, “Why this person is on staff? He asks questions.” [laughter] I thought to myself, “Well, you just don’t get it, you don’t get it.” He’s an expert because he does ask questions, not because he never asks questions. 19:16 Patrick O’Keefe: It’s such a toxic thought process, that asking questions makes you less of an expert or less of a thought leader… I don’t like that term, I’d rather just be a leader. Or less of anything like that. And it happens in all spaces, like in community. I make no secret of the fact that hey, I’m a fan of other professionals in this space. I like other professionals in this space, they help me grow. I think when you stop being a fan, you lose something. When you stop being a fan of the work you do, the profession you have and the people that are in it, or at least some of the people, you lose something in yourself on your ability to grow. So I think it’s so important how communities respond to people who ask questions. 19:54 Lee LeFever: Definitely. And I think it does relate a little bit to something that you mentioned about the videos too, because this connects to, “Well, what video should I make?” Or “How do I know what kind of video to make?” And that’s part of it is, is there a need for it? But I think that we’ve also seen that the means to make something like an animated video has really changed. I think it’s one of those technologies that is one of the last to be democratized. We can all take pictures with our phones and publish them on the web, that’s very easy. Same thing with videos, and there’s lots of tools for doing that. But when it comes to making animated videos, we’re only now starting to see services that make that really easy for anybody to do. 20:36 Lee LeFever: I think that people are just slowly starting to see that, “Oh, there’s this really complex idea, that really represents a problem that we’re trying to solve with this community, that it really takes a video or a visual to get, and knowing that there are now tools and processes that make that easy, I hope will cause people to think that, “Oh wow, this is a resource for me. I can be a person who makes animated videos and uses them as a tool in my community to help people grasp like, “This is what’s happening. This is what we’re trying to do,” or “This is why this feature matters,” or any number of things, that we have new tools now that I think really matter. 21:14 Patrick O’Keefe: So when you talk about finding what to record a video about, or finding what people need help with. You talked about the curse of knowledge. There’s a danger in thinking you know what people want necessarily. And we talk about the timidness people might have to raising our hand or saying something in public. Is it a good idea to go to people privately and say, “What did you need help with?” Or “What do you need help with?” And just ask them in a low-stress way behind the scenes where maybe you can get some real feedback you can use, or how would you determine that? 23:18 Lee LeFever: Yeah, yeah, yeah. 23:18 Patrick O’Keefe: “I shouldn’t automatically follow you on Twitter either, when I uncheck the not-follow button. These things are bad.” So I downloaded something called ActivePresenter, the free version of it, and I had this 1080p HD screencast recorded in about 10 minutes and sent over to me at email, and the quality was pretty good. And I think we forget that when we walk people through the communities, I think the best thing you can do… I’m not saying your face would be bad, it would make the video more friendly maybe, but I think the best thing you can do is show people the community that they see in front of them, and then point out how they can get to that next step. It doesn’t have to be that complicated. 23:52 Lee LeFever: Definitely, definitely. Screencasting has come a long way. And when we put together the Explainer Academy, which is really two courses, we’re big fans of video, and we’re fans of animated video, and we developed a whole method for making Common Craft style videos using just screen-casting software and PowerPoint. Because our cutouts, the figures and images that appear in Common Craft videos are all digital anyway, so we can easily add them to a PowerPoint slide and tell a quick story. And I made over 60 videos for the Explainer Academy, all using a method that anybody can do. And in fact that’s the whole course that’s called a DIY Media Maker course, shares exactly how we make those videos. 24:36 Lee LeFever: And you’re right, depending on what you’re trying to do, you can put it together in an afternoon. It’s not this huge process, or the technology part is not the big process. When you’re making an explainer video in the style that we do at Common Craft, we’re big fans of story boarding and thinking strategically about explanation, but if you just wanna share a quick how-to, to use a feature and talk about why it matters, screencasting with… Making a video with screencasting, and even just using the interface of your community, can be super quick and really effective. 25:29 Patrick O’Keefe: You can definitely create a lot of very helpful, useful content, that would increase… I don’t know, I guess we’d call it a conversion rate, of how people stick around, churn rate. Just helping people learn that way can have an impact on the healthier community. 25:43 Lee LeFever: Definitely. Definitely. Here’s a bit of advice that I would have for anybody out there that is interested in explaining anything, whether it’s something for your community, or a product or tool, or anything for even a meeting or with investors, or whatever it is, if your goal is to explain something, the best thing you can do is to put it on paper, or a Word document or something, or Google Docs. My point is to write about it, because the act of writing forces your brain and forces you, to see it from a different perspective. Where suddenly, when you have to pick the right word, you actually think through the process, and whether it ends up as a script for a video or not, I think, imagining a community member and writing a letter to them and starting that letter, “I’m gonna make this as easy to understand as I can,” and then writing just a couple of paragraphs, it’ll change how you think about it. It’ll show you opportunities to explain it better, it might even teach you more about it than you ever thought that you knew, so it’s a really simple way to get started on this idea of being an explainer, is just to write, write down what you’re trying to say, and I guarantee it will change and improve your ability to explain it. 26:55 Patrick O’Keefe: That’s great advice, and I can be an example of that, because my side of the podcast is largely written by me in advance, and gone over, and that helps me to kinda figure out how deeply I wanna go into different topics. I would say it’s probably maybe 50% or 60% written and then the rest is kind of free-styled, based upon what a guest says or does. But I come into it with a plan, and I think this podcast would not be as good, would be substantially worse, even though I’ve been doing this for so long, and I have this community experience I can draw from, and the guests have the experience, and I know a bit about them and I can kind of pick things on the fly, our conversation would just be a lot of ho-hum, ah… What’s next? Kind of stuff. Thinking of things on the fly, it’s just not a good way to do things. 27:37 Patrick O’Keefe: It just, in general, it’s a skill to have that when you need it. When you’re backed into a corner and you need a solution, there’s a skill, it’s good, but whenever you can plan, it’s always better. It’s like, I don’t know if you remember when we were on a panel together at BlogWorld, but I think the panel, I developed it and I gave everybody notes at a time, and bullet points of like, “This is what we’re gonna talk about. Get ready for this. These are the topics.” And I’m always apprehensive, and I actually kind of refuse to work with anyone at a conference that doesn’t want to prep, that doesn’t want to plan a little bit in advance. I don’t need you to… There’s no script necessarily, but we need to know what’s going on and we should have a conversation, and anyone who wants to just let it fly, or anyone who wants to talk just the night before when we’re all getting into the conference hotel, no thank you. 28:32 Patrick O’Keefe: And an explainer video can be no different I assume? 28:35 Lee LeFever: Yeah. Yeah, definitely. I think that going into it without a plan, without an objective and without having thought about the audience, is a big problem. 28:45 Patrick O’Keefe: So the ability to explain things clearly and in a way that people can understand is a valuable skill, we’ve established that. Let’s talk about some specific situations and how to approach the explanation of them. 28:55 Patrick O’Keefe: First: Policies and guidelines. As community professionals we have multiple opportunities to educate people about our guidelines. The policies themselves are an educational document. How prominently you feature them throughout the community is part of educating people. When someone violates the guidelines, you have the chance to educate the member on what happened and how to avoid it in the future. How can we help members understand the guidelines that we write? 29:19 Lee LeFever: Yeah, that’s a great question. I think of it a little bit like instructions, which guidelines and instructions you could say they’re a little bit alike. But my point is that, there’s a difference between telling someone what a guideline is and why it makes sense that that guideline exists, and I think that sometimes it’s too easy to say, “Here’s the guideline, please obey it,” and not say, “This guideline exists so that we can do this,” or whatever role it plays in the community. And when we get busy and we’re trying to get things done, adding a little bit of extra information, sometimes gets forgotten. And I think it’s really important to not just state it, but make a case for it, “Why does it make sense? Why should they care about this policy?” And I think if you can get people to care, see why it makes sense, then they’re much more likely to listen to it. 30:12 Patrick O’Keefe: It sounds like context is a big thing for that. One thing I like to do with my contact templates which are pre-written messages that staff members send to members who violate the guidelines, and ours are due for review. I’ll be honest, there’s a lot of things I wanna do with them. But one of the things I like to do is include examples or explanations of what occurred, just a paragraph of… Instead of saying like, “You violated the guidelines due to hot-linking, and linking them to the guidelines.” Instead we describe briefly what hot-linking means. 30:39 Lee LeFever: That’s great. 30:39 Patrick O’Keefe: “Linking to a direct file, blah-blah-blah-blah. It takes the bandwidth from sites that may not have authorized it.” We say it a little better than how I’m saying right now. But explaining what those concepts are, explaining briefly what an inflammatory comment is to us, what it means in this community. 30:58 Patrick O’Keefe: Either way it’s not acceptable. Providing that context, I think that kinda speaks to the guidance you’re providing here. 31:05 Lee LeFever: Definitely. I’m a huge fan of context and I think that it’s often what’s missing, and explanations that don’t work is some kind of connection to the big picture. 31:13 Patrick O’Keefe: When speaking about guidelines themselves, some people write guidelines that are so short, that are just ridiculously short. Some things say like, “Don’t be a jerk.” And then you have guidelines that are very long which I might even throw mine into right now, that they’re very long and I wanna go in and refine them and make them more concise without losing detail. It’s kind of a battle because people say guidelines shouldn’t be too long, that they scare people away from a community maybe, but then I think guidelines that are so short, they’re meaningless. They don’t mean much if they’re not defined in some way, or if they’re all based on some private staff member-only application of them, if you don’t have them explained properly. I don’t know, how do you find the happy-medium between having guidelines that are concise enough, but also detailed enough to actually be applicable and somewhat understood by the average member? That doesn’t have to then violate the guidelines to find out what the context is. 32:03 Lee LeFever: Yeah. I know, that’s a tough problem to solve. It reminds me of a couple of legal documents that I’ve seen. Legal documents are interesting because the language really does matter. There are lots of legalese things that are maybe over done or a lot of them are over done, but lawyers have a way of using language that’s very specific, because it’s how it fits into our legal system, so in some cases those things have to be there. But then I’ve seen legal documents that have two columns, like “Here’s the thing we have to say legally,” and then another column that says, “This is what it means.” I wonder if there’s a model that could work like that to say, “Here’s the short version, you can use this just as a reference if you wanna look at what our policies are, but we’ve also provided this other column over here which builds context.” What sounds kind of like what you’ve been doing anyway, but in that case you’re offering two options for those that might have different needs for understanding. 32:57 Patrick O’Keefe: I like that idea. I like the idea of a short and a long version. Something that I wanna do myself is have that detailed version for people who wanna see it, and also because I feel like there’s an intellectual honesty that comes with that, with the members in the community where it’s not just something that says, “This is bad,” doesn’t explain why. “If you just wanna see a quick CliffsNotes essential version of the guidelines, that’s here, but also if you wanna see detailed version you can here,” and that also gives us something to refer to so that people know we’re not just pulling things out of our head. We’re not just seeing their post and deciding, “Oh, this is bad,” and there’s no context for in public, in the community, like it’s a secret, hidden ruleset. Because when you are so vague in your guidelines, I feel like that’s a real risk, that people can’t trust the process of moderation, which is already… Let’s say they find untrustworthy probably, some of the time, but when they can’t see the policies that reflect the reasons that their content is being removed. 33:49 Lee LeFever: Definitely. To me it comes down to this idea of understanding, and I say that knowing that it’s such a trite term, and I’ll ask you this question: The outcome of explanation is understanding, that’s the thing you’re trying to get to. I’ve worked in this explainer world for almost 10 years, and it took me a long time to actually question “What does it mean to really understand something?” We say that all the time, and it’s just a normal part of how we communicate, but if you really think about, “Well, what is really going on when we understand something?” It’s not an easy question to answer, and I think that this relates to what we’re talking about, because we’re really talking about not just stating a policy, but giving people a way to understand it. And I have my own version of that, but I’m curious if you have any thoughts about what you think it means to understand something. 34:38 Patrick O’Keefe: Wow! Okay, so let’s see. Put me on the spot here. What does it mean to understand something? I think about when I understand something there’s a lack of ambiguity, there’s a lack of uncertainty. It’s the same reason why I value overcommunication. The idea that… Me personally, I like my family, my friends, those who rely on me, to know how I feel about matters that impact them, to the greatest detail possible, because if there is ever any uncertainty or doubt in their mind about being where I stand on something that impacts them, that’s where problems occur, because people fill in blanks with their imagination or things can happen where they fill it in with their own meaning, and that can be my meaning but it might not be. And so, I always feel that’s really dangerous, can be poisonous to relationships, so I always like to be super clear with people. And so I think understanding is like that, it’s something that’s devoid of ambiguity, devoid of uncertainty. You know what it is, that doesn’t mean you like it. It doesn’t mean you’re a fan of it, it doesn’t mean you appreciate it, it just means that you understand why it is happening in this space. I don’t know. What do you think? 36:41 Patrick O’Keefe: Right. It’s the difference between knowing that the F-word is bad versus knowing that this is a community where we have a work-friendly audience and we want people to be able to pull up the community at work and not have their boss wonder, “What are they looking at?” Like we’re applying this for a reason. 36:53 Lee LeFever: Yeah, definitely, definitely. Well, another way that I look at that, that I think applies a little bit is, thinking about a recipe, and a recipe often is a really great list of, “Here’s what you do: You add these ingredients and these amounts, and if you follow this, you get the result,” and that’s great, but that doesn’t necessarily mean you understand what’s going on. So if you think of a recipe and think, “Okay, I’m gonna bake a cake,” and it says a quarter teaspoon of baking powder. So, okay, you do that, that’s knowing that, but do you understand it? Well, if you actually learned about baking powder, understood the part that it plays in the recipe, then you can think strategically about it and think, “Oh, well, it helps the bread rise, so if I use more, then the bread’s gonna rise more; if I use less, the bread’s gonna rise less.” And that understanding makes the recipe go from being this one specific thing, to a project that you can customize and take ownership of and apply in a lot of different ways. And I think that it’s that idea of taking the instructions or the guidelines a step further to give people the ability to own it and apply it in a number of situations and not just one. 38:01 Patrick O’Keefe: When I put together a piece of IKEA furniture, I don’t understand how [laughter] furniture works necessarily, I’m just following a series of steps. They say that put the screw here, so I do it. I don’t necessarily understand the process through which that helps. I mean I understand screws, but there’s is always things in there, like you’re following a set of instructions just like a recipe. Following a recipe doesn’t mean that you’re a great chef, it just means that you follow this steps of the instructions. You’re not like my mom who can just say, “We need a pinch of this and a little bit of this, and put that in there and this works.” Yeah, so I think that’s a great point. Let’s change the situation, to change. [chuckle] Change is hard: Redesigns, staff departures, closing down old features or initiatives. These are things that can lead to frustration from members. What is the best way to approach the explanation of change? 38:58 Patrick O’Keefe: You’d be surprised sometimes. But yeah, honesty is definitely a core competency of online community. 39:53 Lee LeFever: It’s not just that it’s happening, this is what’s gonna happen, but building a case for it, where the person says, “I might not agree with it, but I understand why it’s happening. I understand what they’re trying to do and I can see my place in it.” And again, this is not that revelatory, but I think you probably agree that a lot of times you get so focused on what’s inside your head, that you forget to think about what’s gonna go on in someone else’s head when they see this, or is it gonna be even understandable to them, and again, building that case for why it makes sense and not just what it is. 40:30 Patrick O’Keefe: Would you approach community problems the same way, like downtime, mistakes, errors in judgement, legitimate complaints from members, and so on? Would you handle those… I don’t know, I don’t wanna say they’re hostile, but something has gone wrong and ultimately the community looks to you to be responsible for it. Would you handle those any differently? 41:42 Patrick O’Keefe: In your view, why do some explanations fail? What are some of the common pitfalls of explanation? 42:40 Lee LeFever: I think that there’s other things too, I think that sometimes we jump the gun a little bit and go into explaining something before we really truly understand it, and then what happens is when someone asks a follow-up question and needs some details, we realize, “Oh, maybe I don’t really get this like I thought I did,” and that causes the appearance of a failed explanation. We often think of explanation as a strategy for simplifying what we do or simplifying language, and I think that simplification is a worthy goal. I think being able to use simplification as a strategy is good, but it’s kind of a tightrope. I think if you go too simple, if you think, “Okay, I’m gonna explain this like they’re five-years-old,” you get into a territory where you start to sound condescending, and nothing kills an explanation more than condescension. 43:31 Lee LeFever: When someone thinks, “Oh, this person thinks I’m an idiot,” then they will tune out almost immediately. So I tell people “Yes, I think using things that are simple is good, but that applies more to big ideas.” But the language that you use, the way that you communicate to someone, shouldn’t sound simple to them as much as familiar. And if you think in terms of familiar language, what’s gonna be familiar to them, then that allows you to include context, and thinking about your audience, because every audience and every explanation is different. Where simple as a strategy attempts to apply one form of communication to everyone, where thinking in terms of familiar forces you to think for this audience what’s gonna sound natural and familiar to them, and I think that’s really the right perspective versus simple and avoids that possibility of coming off as being a condescending jerk. 44:26 Patrick O’Keefe: Lee LeFever, you are a man that when you go and search on Google for “online community”, you have a blog post that comes up in the top 10 results on the first page. How did you manage that? 44:38 Patrick O’Keefe: And can you link to the podcast? No, I’m just kidding. 44:42 Patrick O’Keefe: And you know what? I’ll say I opened the blog post and read it, it’s what is an online community, it’s you defining what an online community is on July 7, 2003. Well just over 13 years ago, the definition stands up. You know you did it, the definition stands up really well. 45:11 Lee LeFever: Yeah, that’s good. 45:12 Patrick O’Keefe: That sounds like it. That sounds like what we’re doing in 2016! 45:16 Lee LeFever: That’s too funny. I was kind of amazed that, that was still sticking around and still working. But I guess people are clicking on it, and that’s a good thing. Having done Common Craft for so long now, and I’m sure that you feel the same with doing the stuff you’ve done with the iFroggy Network and your forums, is people will often say, “How did you get where you are?” or “How are you able to achieve this or to do this thing?” And I think that being dedicated to doing something over time has really paid dividends. And that’s an example of a blog post I wrote in 2003, just because I felt like it needed to be written, but the accumulation of all those blog posts and all those thoughts, having them saved in a place that’s actually accessible to people, it builds up, and it increases in sort of an unpredictable way over time, and I always encourage people like, “Start putting stuff on there.” I never had a thought that I’d be looking at that blog post X many years later. 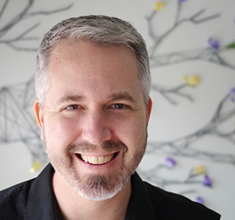 46:09 Lee LeFever: But getting those thoughts out there, doing the blog thing, which has been around for a while now, I think is still really powerful, and that’s an example of something that I never thought would happen. It comes from me being excited about it early on, writing about it, not because I wanted to get search results 13 years later, because I thought it would be an interesting thing to write about that other people might be able to use. 46:32 Patrick O’Keefe: Lee, it has been a pleasure to have you on. Thank you for joining me on the show. 46:36 Lee LeFever: Happy to be here. Thanks for the invite. 46:38 Patrick O’Keefe: We have been talking with Lee LeFever of Common Craft, which provides ready-made videos and visuals for educators. Visit their website at commoncraft.com and follow them on Twitter @commoncraft. To learn more about the Explainer Academy, where you can learn battle-tested skills and strategies for transforming complex subjects into clear, understandable explanations, visit explaineracademy.com and check out @explaineracad on Twitter. Finally, you can follow Lee @leelefever. For the transcript from this episode plus highlights and links that we mentioned, please visit communitysignal.com. Community Signal is produced by Karn Broad, and we’ll talk to you soon.